Mount Prospect is about 22 miles northwest of Chicago located in Cook County. With a population of 54,000, the city is a larger suburb between Arlington Heights and Des Plaines. Less than a 10 mile drive from O’Hare airport, and a stop on the Metra Union Pacific Northwest Line, the city is convenient for frequent travelers and commuters. Mount Prospect is served by a number of award-winning school districts. The boundaries consist of 14 primary schools, 6 middle schools, and 6 high schools under District 214. The shopping mall Randhurst Village at the corner of Rand and Elmhurst Roads offers a selection of nearly 40 stores and restaurants, as well as a new movie theater. The downtown area also has small business dining and retail businesses. The city features over 400 acres of parks and recreation facilities. 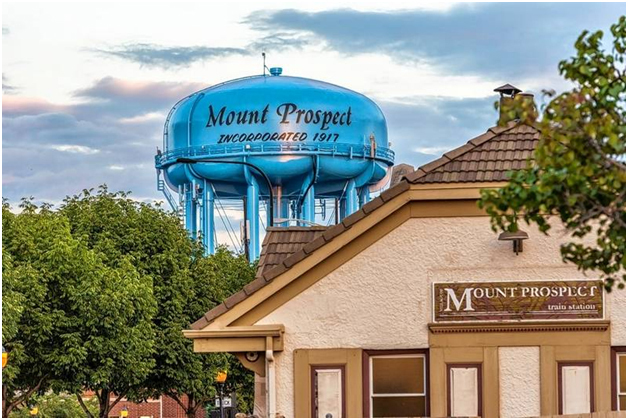 Mount Prospect recently hosted its Centennial Celebration in 2017, honoring the town’s rich history, and growing vibrancy. With a town motto of “Be a Part of It”, residents and visitors can expect a welcoming community with small town charm and a wide range of housing options for all stages of life.